In my 30 years of experience working with patients with head and neck cancers, there’s no doubt that there have been significant improvements in their treatment and care. These improvements, some of which have been pioneered in Australia, have come through the application of clinical, translational and laboratory research. They are also a reflection of the teamwork approach to treatment that we have championed. Our Research Foundation plays an integral role in the mission of the ANZHNCS to improve the lives of patients affected by cancer in the head and neck. By raising funds, we can provide the facilities and support that researchers need to better understand head and neck cancers, with the ultimate aim of preventing and curing these diseases. Like most serious diseases, research into head and neck cancers requires significant funding to facilitate improvements in care. We rely on the generous support of Australians like you to help us provide this funding. There are a number of ways you can help the Australian ANZHNCS Foundation make a difference. We have a general research fund, or specific funds for skull base cancer, adenoid cystic carcinoma or reconstructive surgery. 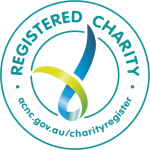 The Foundation is an ACNC approved charitable organisation established to support research and improve the lives of people diagnosed with cancer in the head and neck. All donations in excess of $2 are tax deductible in Australia. Support critical research undertaken by academics and medical practitioners. Support specific research into this common type of head and neck cancer. Support research into adenoid cystic carcinoma, which is difficult to treat. Support research into reconstructive surgery for head and neck cancer patients. The general Research Foundation fund raises money to support critical clinical, translational and laboratory research undertaken by academics and medical practitioners. Each year grants are made in support of important research initiatives that are already improving the quality of care and life for head and neck cancer patients. If you’re as passionate about improving the treatment of patients with cancers of the head and neck as we are, please support us by making a donation to our Research Foundation today. The Skull Base Cancer Fund is a dedicated special fund of the ANZHNCS Research Foundation created to support skull base cancer research. Some of these tumours arise at the base of the skull, while others extend to the region from skin or mucosal cancers of the head and neck. Due to the high numbers of skull base cancers in Australia, and their advanced nature, patients require complex specialised surgery and often they need chemo-radiotherapy as well. Extensive research is needed to improve the outcomes of patients affected by skull base cancers. You can assist us by making a donation to support Australian research in this important field. Adenoid cystic carcinoma (AdCC) is a little-known cancer that most often arises from one or more of the salivary glands. Management is difficult due to its nasty habit of invading nerves around the adenoid. The ANZHNCS Research Foundation has established a special fund to support research into AdCC. Our goal is to find a cure and reduce the debilitating effects of this cancer. Trudi is an Adenoid Cystic Carcinoma patient who is willing to share her story with you. Please join us and make a difference by donating to fund research into AdCC. Hi. I’m Trudi and I have adenoid cystic carcinoma (AdCC) – one of those little-known cancers. My primary cancer was surgically removed from my neck and facial nerve some years ago. More recently I found out that AdCC had metastasised to my lungs. There is currently no medical treatment for me. Through my journey I have come to know other brave souls who are also battling this insidious disease. Surgery and radiotherapy are often the initial and only forms of treatment for AdCC. The ongoing effects are devastating. Hearing, speaking, swallowing, breathing and taste can be some of the casualties. Worse is the threat to life. When this cancer spreads, there are no medical solutions and the prognosis is frightening. Clinical research funding for rare cancers is scarce, and so without effective medical treatment for those affected, outcomes are often poor. We have in Australia excellent expertise in medical science and some exciting new research proposals for the treatment of AdCC, along with plenty of will to get work under way. We just need funding. Thank you in advance for whatever you can give. Together we can make a difference! Treatment of head and neck cancers, especially large ones, can result in partial or complete loss of the body part treated. This can lead to deformity and impaired self-image, or significant impairment of essential functions like speech, swallowing, chewing or breathing. Reconstructive surgery aims to restore both appearance and function as much as possible, which can go a long way to helping patients return to their ‘normal’ family, work and social lives. With continued research, we can further improve the outcomes of reconstruction surgery. You can help us with this vital research by donating to the Reconstructive Surgery Fund of the ANZHNCS Research Foundation. ANZHNCS Research Foundation – Call for Research Grant Applications for 2019! The Research Foundation is pleased to announce the 2019 Grants Offer is now open! Applications close 31st May 2019.